For those of us who want some more realistic train operation while also giving us something more interesting to watch, I'm going to show you how to operate express trains on your routes! This guide will go over how to keep these trains operating effectively while weaving around all of your regular traffic. Double and Triple Buffering Lines. How The Double Slip Switch Works. Easy Guide to Goods Transportation Network. How to Get Easy Cash (Cheat). We've all had that savegame in which we had a few major hubs of travel that warranted very large stations, while others did not because there weren't many different lines serving it. The average TpF user would likely just have the one double-tracked line with trains making every stop. This is nice and all, but it isn't particularly realistic. In North America, trains which made every stop on a particular route were known as the "milk run". This was because, back in the days of door-to-door milk delivery milk cans were often carried by train from station to station. Trains which made every stop were ideal for milk delivery because milk could be delivered to each community served by the railway. Milk run trains are great, but they were usually low priority and weren't particularly fast. To take care of passengers who wished to get to distant destinations quickly, express trains were used. Express trains often made use of the most recent equipment, whether it was passenger cars, locomotives or both. They had a higher priority than other passenger trains and would usually weave around them if rail traffic was particularly busy. 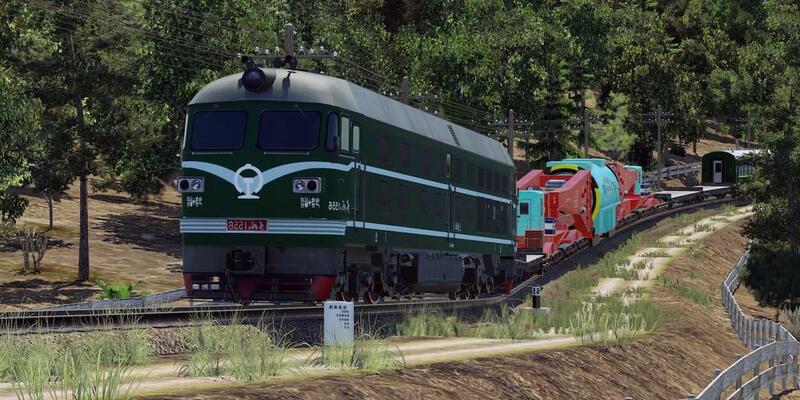 If you are relatively new to the game, or haven't tried something like this before, you may be surprised to know that you can even have express trains sharing the same double-tracked line of your regular "milk run" trains in Transport Fever! However, there are a few tricks you need to know about first. Signals must be fairly close to each other. Use transit tracks at stations (with or without mods). Understand which stops will be suitable for express trains to stop at. This one is important because as long as the signals aren't spaced out too far, trains will be able to keep moving. When trains are held up at signals consistently, it is going to put a dent in your profits and it will reduce passenger ridership. How many signals you need depends on how close each stop is to each other, and how much traffic is on the line at any given time. If trains are being held up, just add more signals! Another very important step. Sometimes these are referred to as through-tracks, but essentially they allow express trains to pass a station without interrupting trains that are stopping there. These can be done in the base game by simply building tracks that bypass a station entirely. This step is to be done at stations that you don't want express trains to stop at. It's important to note that you may need to use waypoints to get your express trains to take the transit tracks instead of going through the station. Above: An example of transit tracks using a modded station which allows for the transit tracks to be a part of the station. Note that the line shrinks to just two tracks beyond the station. A consequence of having station stops close together is that trains don't reach their top speeds, especially in the early game. With express trains, this won't be a problem! You will have to decide which stops would warrant an express train to stop at it. Remember, if the train stops at too many stations then there won't be much reason for passengers to take it instead of your regular passenger service! Important stops where you would want express trains to stop would include stations located at junctions where passengers would transfer from one line to another. An additional example is a terminus, which is a station at one end of the line. Stations which connect to other important methods of transit, such as an airport, should also be included. 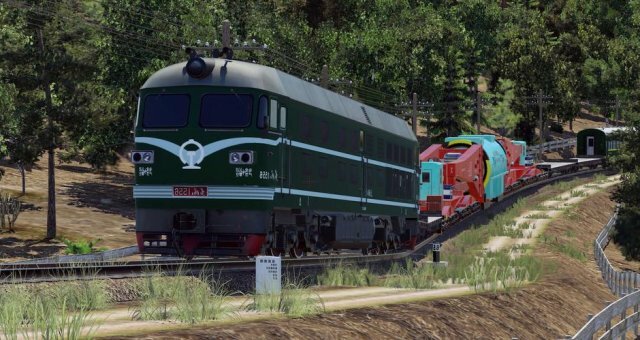 Believe it or not, you can even squeeze freight and regular passenger trains on the same double-tracked line as your passenger trains! Keep in mind, this depends on how much traffic is travelling on the line, but it can still be done. Simply add more signals! The freight trains will be able to use the same transit tracks as the express trains, or they can use the platform tracks if you want your express trains to have higher priority. The above mod is a german-style station which can still fit in on North American routes depending on your taste. The station allows for you to build transit tracks into the station. Modifies the existing station models to not only allow for curved stations but also for transit tracks. Adds a new station to the game without an outer platform or station building, but also allows for transit tracks. A work-in-progress mod that allows for very advanced station construction. As of writing this, the addon only allows you to do this with the modern station, not the 1850 or 1900 stations. 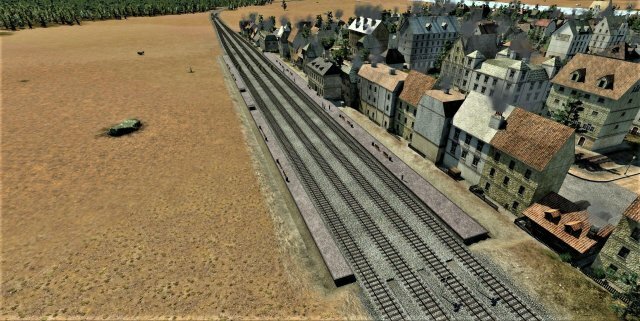 Modifies the existing station models to allow for ones without any middle platforms regardless of the number of tracks that you set. This allows you to add transit tracks to your stations.